All residents are required to use an automated cart for all yard waste collection. The cart is provided at no charge by the city. Your property was identified recently as not using an automated yard waste cart so we have delivered a cart for your use. If you would rather use your existing trash cart (not recycling) for yard waste this is allowable but the cart must be free of all non-yard waste items and the cart must be labeled with a sign, with bold lettering stating YARD WASTE, taped on the side of the cart facing oncoming traffic. If there is no sign on the cart, the driver will assume it contains refuse, and will not empty it. All yard waste must be contained within the automated cart, with the lid closed. Yard waste outside the cart will no longer be collected. With the exception of weeks containing a holiday, yard waste is picked up every Wednesday, and only on Wednesdays, starting the first week of March and continuing until the final collection the first week of December. There are no special collections or bulk pick-up service for yard waste. If the amount of your yard waste exceeds one cart, you may use your automated refuse cart (not recycling) as a second yard waste cart, with two provisions: the cart must be free of all non-yard waste material and there must be a sign, with bold lettering stating YARD WASTE, taped on the side of the cart facing oncoming traffic. If there is no sign on the cart, the driver will assume it contains refuse, and will not empty it. Additional yard waste carts are also available for purchase form the City. 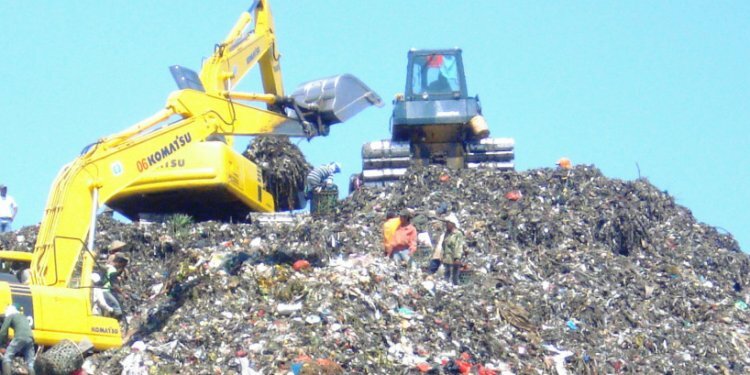 The Delaware Department of Natural Resources and Environmental Control’s permit for the Delaware Solid Waste Authority’s landfill operation in Wilmington includes a ban on dumping all yard waste effective January 24, 2008. What may I put in my yard waste cart? What may I not put in my yard waste cart? Make more of your lawn for less! Consider leaving grass clippings and leaf mulch on your lawn. It is an environmentally sound practice that replenishes the nutrients in your soil for a healthy, lush lawn. Need mulch? The city mulches collected yard waste and leaves. Residents may pick up the mulch for free at the New London Road water tower site!